If there's any couple on Earth that married for love, the prime candidates would undoubtedly be my grandparents, the mother and father of my own dad. They were fiery, passionate people, on fire for the Lord and inexpressibly in love with each other. 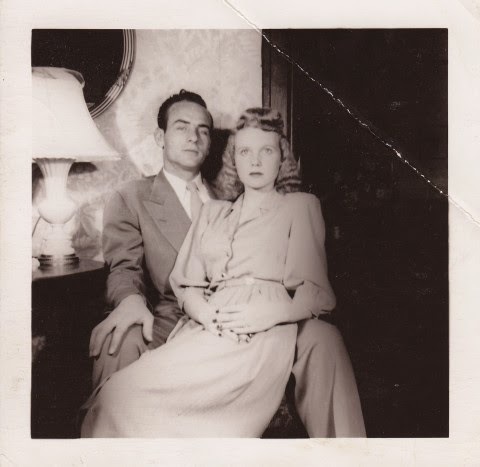 They were also insane: they got hitched when my grandmother was only 16; my grandpa was 22. I have never seen such an unwavering love as the love they had, and I doubt I ever will. It's weird looking at these photographs because I can see so much of my dad in both of their faces! These shots are a good reminder that life goes quickly -- one moment, you are an insane teenager, the next, you're somebody's grandparent. But they were insane grandparents!! They never did lose their spontaneous spirit. 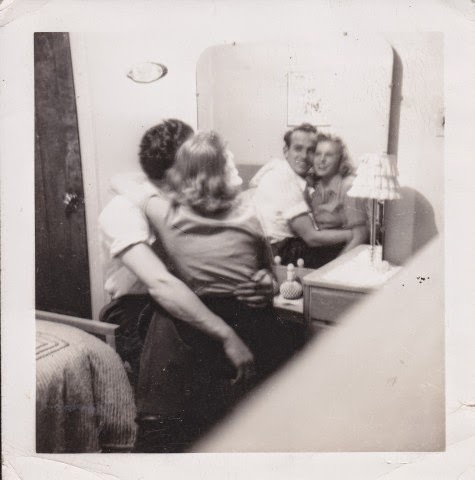 In other news, there is a third photo that I cannot currently find, and it is really The Photo of my grandparents that I love most in all the world. It is a shot of the two of them wearing matching argyle sweaters at a picnic. Keep in mind that my grandfather was a pretty brawny dude. His physique did not exactly scream "argyle sweater", nor did it particularly radiate "picnic", for that matter. But love makes you do crazy things, and that, my good people, is beautiful. I absolutely love this. They are such an adorable couple! These photos are so amazing, it's so nice to have things like that, thank you for sharing!